The report is based on the study conducted in 2015. The purpose of the study was to determine the factors which influence girls’ choices to pursue basic vocational school and their choices of fields of study as well as the quality of vocational school (BVS) in the context of the existing labour market. The report provides an analysis of the pay gap between men and women with basic vocational education in the context of their economic activity and educational options. 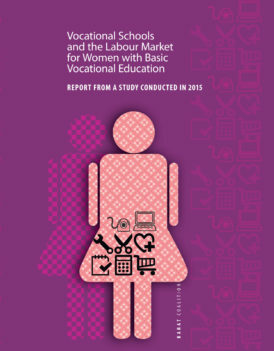 The analysis is focused on women with basic vocational education and their position in the labour market, with particular emphasis on the situation of young women. 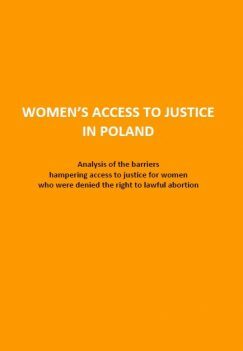 In order to identify the barriers that prevent women from claiming their rights, to get better knowledge and to formulate recommendations aimed at improving women’s access to justice, KARAT conducted a pilot study which focused on the exemplary type of women’s rights violations – on denying women access to abortion services that are legal under the Polish law. The report identifies and elaborates on the most burning issues and formulates recommendations. In the part dedicated to women’s human rights KARAT presented as main concerns among others: violations in the area of reproductive rights and a pay gap of over 30 per cent between women and men with growing phenomenon of working poor among women. 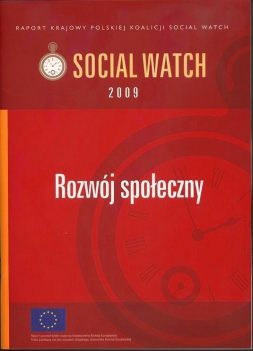 The annual report of the Polish Social Watch Coalition deals with the issue of social development. It elaborates on the understanding of social development, its goals and directions and evaluates government policies affecting disadvantaged and discriminated groups in Poland. This report is about the clothing industry, in which the giant retailers are big players. But most importantly, it’s a report about the people – mostly women – who make the clothes on sale in giant retailers.